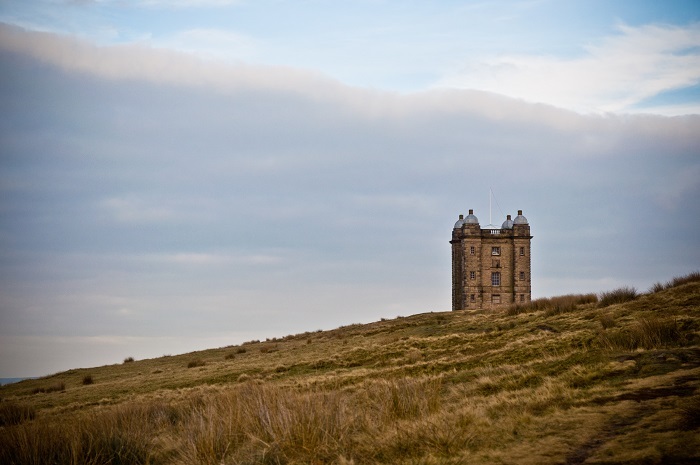 The Cage is an interesting tower which stands on a hill within the large estate known as Lyme Park, which is south of the village of Disley, in the County of Chesire, which in fact is part of the United Kingdom of Great Britain and Northern Ireland. 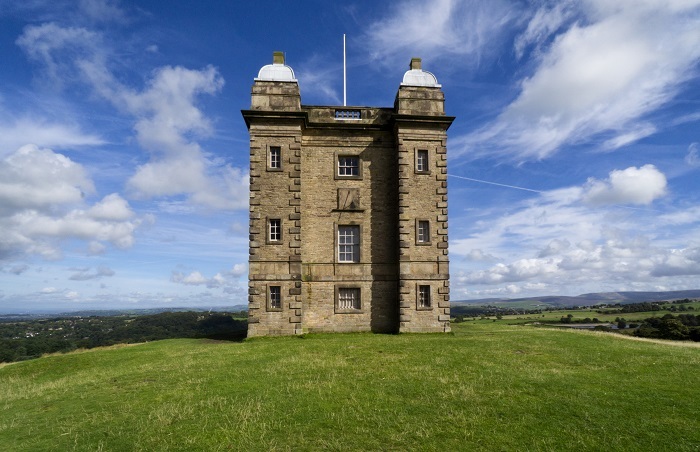 Originally built in 1580 as a hunting lodge where the ladies of the British nobility could admire the hunting techniques of their menfolk, who were hunting on the slopes below the tower. 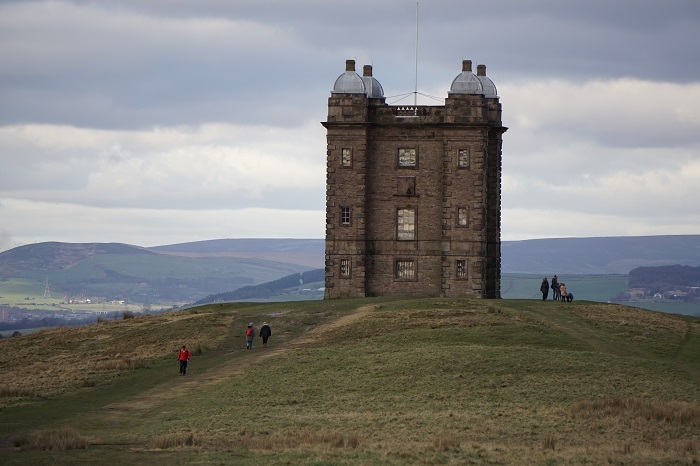 Later in 1737, the structure was taken down and rebuilt, which is considered to be possibly designed by the renowned Italian architect Giacomo Leoni for Peter Legh XII. 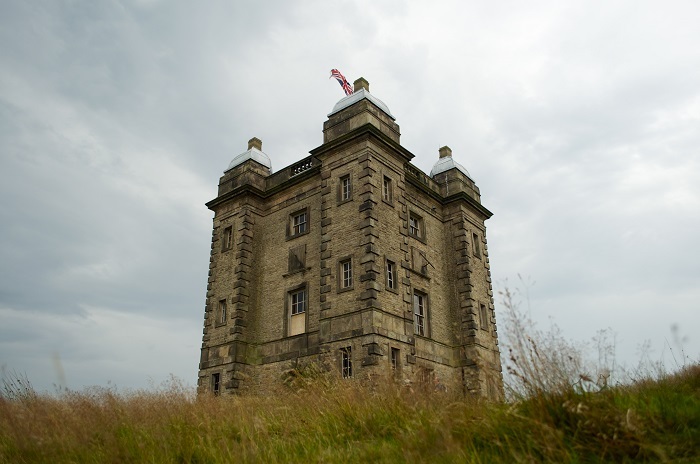 The Cage is built entirely in buff sandstone rubble with ashlar sandstone dressings, where its form is a perfect square, with three floors, and there are attached small square towers surmounted by cupolas at the corners. 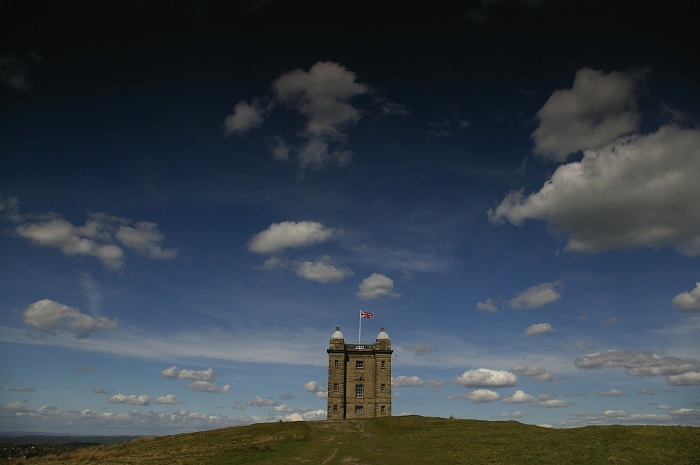 As the time went by, the tower was used as residence for the game keeper, whereas a small room was intended and used for locking up poachers that had been caught trying to steal the hare and deer that were both common in the park and said to be of exceptional quality and flavor. There are similarities to the central keep of the Tower of London, which was most likely intentional, as Peter Legh XII was twice imprisoned in the Tower of London on charges of treason. 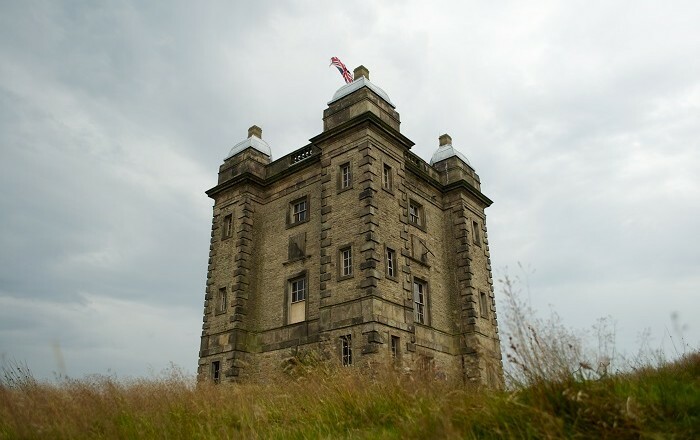 The name ‘The Cage’ is something of a mystery but may well have been an ironic reference to the Tower of London which was Legh’s prison or it may be a reference to the towers earlier use as a poacher’s prison. 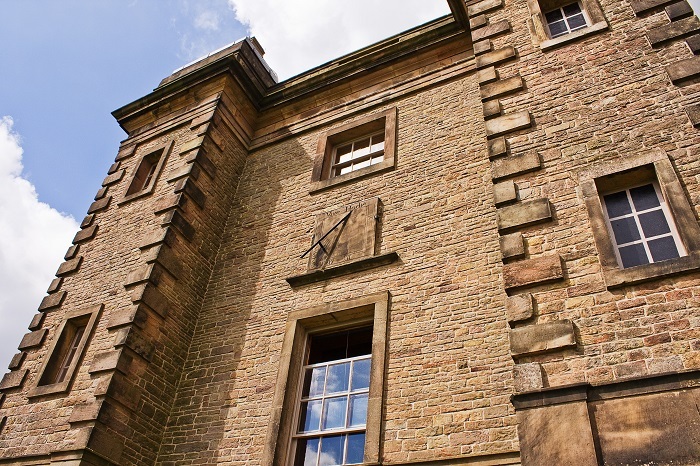 What is quite interesting are the sundials, which can be found on three of the four sides of the tower. 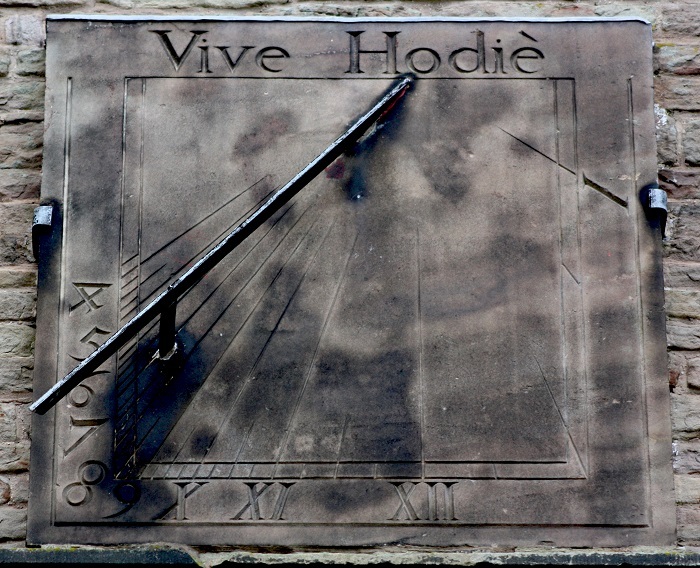 Only the north side has no sundial to measure the time of the day, as it does not receive enough sunlight in order to be active. However, on the other three sides, on every sundial there is an inscription. The south face reads: “Remember now the creator in the days of thy youth”. 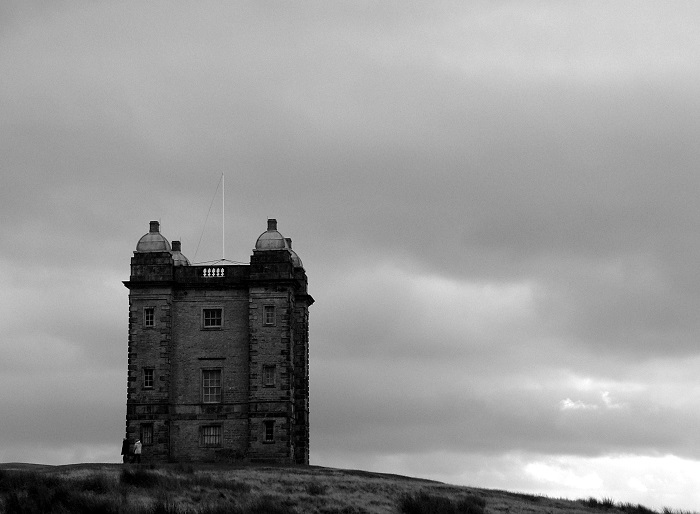 The east and west faces are written in Latin and both read: “Live to day. Tomorrow will be less seasonable.”(Vive hodie. Cras minus aptus erit.) 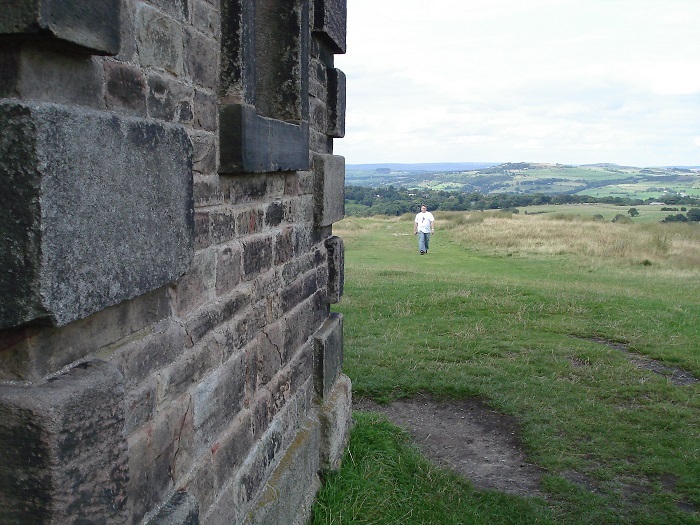 The reason that Legh chose these inscriptions remains a mystery. 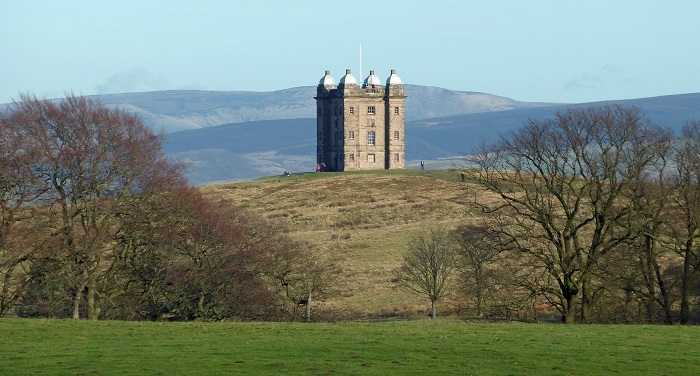 Still, people can get here, enjoy in the haunting mystery of the whole estate, fell in love with the amazing vistas, and simply spread the story of how The Cage at Lyme Park is one piece of treasure kept by the British.